The first wave of West Indian immigrants arrived in Britain in 1948 with the docking of the Windrush and from that point they continued to arrive. Quite naturally, they brought their culture with them, which included music, the sound system dances and ska, which developed during the 1960s, followed by rock steady and reggae. By the start of the 1970s a generation of West Indians who’d been born and raised in England was coming of age. Reggae was their music, but the Jamaican experience didn’t mirror their own lives. So it was inevitable that a strain of British reggae would develop. Led by Dennis Bovell, who became the godfather of British reggae, Matumbi formed in 1970 in London, the first real British reggae band to emerge. With their three part harmonies and deep bass lines, they sounded completely Jamaican roots – not surprising, since Bovell had grown up there, arriving in the U.K. with his parents when he was 12. The group scored their first hit with After Tonight and remained an entity for several years. But Bovell would go on to a greater career as a producer, creating the genre known as lovers’ rock, and working with artists as varied as punk band the Slits and dub poet Linton Kwesi Johnson. 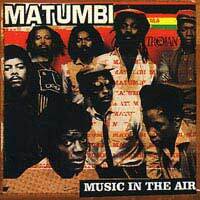 Matumbi became a well-known band, but it was the fact that they were the first British reggae band that helped set them apart, paving the way for others that followed. It was a few more years until Aswad arrived on the scene, and made history by being the first British reggae band to be signed by a big label (Island). They stayed there for a short while before branching out on their own. However, it wasn’t until the 1980s that they really found their stride, with Don’t Turn Around, which gave them a number one pop hit. For the most part, though, they’ve been acknowledged more by reggae fans than by the mainstream. Known for his poetry performed over reggae (a style called dub poetry), Johnson established a reputation for himself in the late 1970s with albums like Bass Culture. He excoriated the racism in British society, especially the way the police treated blacks under the SUS laws. Working with Dennis Bovell, he created a long series of records, whilst still receiving acclaim for his written poetry. Several of his releases during the early 1980s were widely acclaimed, but his polemic style means he’s never found a wide audience. Steel Pulse came out of Birmingham in the wake of punk, forming in 1975 and touring with groups like Generation X. Their first LP, Handsworth Revolution, was a bitter, angry piece of deep roots reggae, and remains one of the great milestones of the genre. However, having found some small success at home, they decided to concentrate on America, softening their sound, although they found only limited success there. Interestingly, the British reggae group that’s achieved the greatest success was led by two white brothers – the Campbells, from Birmingham. Devotees of reggae, they began the multi-cultural band with compensation money and quickly began scoring hits with their politically-orientated material. But they went into the stratosphere in 1983 with their reggae covers album Labour of Love (they’ve exploited that covers market for their American success). The only British band to not only achieve but also sustain global success, they might have lost their political edge over the years, but their sound remains very authentic, even after two and a half decades. Punk opened a lot of doors for young British reggae musicians. In the early days, there was no punk music to play in clubs, so disc jockeys like Don Letts at the Roxy spun reggae, which was available. And in the atmosphere of the times, young black musicians picked up instruments too, creating bands like Misty in Roots. Few broke through outside reggae, but many have found they’ve been able to sustain figures. And even those working behind the control board, like producer the Mad Professor; have made an impact to the point where British reggae is regarded as highly as its Jamaican inspiration.